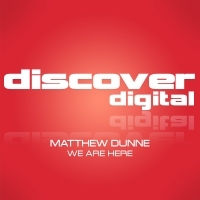 Matthew Dunne fresh from his triumphant remix of Thomas Datt's "Narani" on Discover 100 delivers a solo single the label that once again shows Matthew's production pedigree. Remixes from Liam Wilson and Hughes and Ballantine finish the package in style. 'We Are Here' is available now from Beatport and iTunes.